Home » Gloves with biophotons "Huashen"
Curative effects: Fingers are directly connected, through the nervous system, to the brain and other organs, it is important to keep them healthy at all times.Gloves Huashen can help reduce arthritic conditions and dryness of the knuckles. 1. Marked improvement in rheumatic and rheumatoid arthritis, swelling of fingers, with extended wear gloves achieved sustained therapeutic effect. 2. Hand cured chills, numbness of fingers, pain in the finger joints. 3. Disappear dry skin and cracks on the skin. inflammation, accelerates healing of joints without scarring. 5. 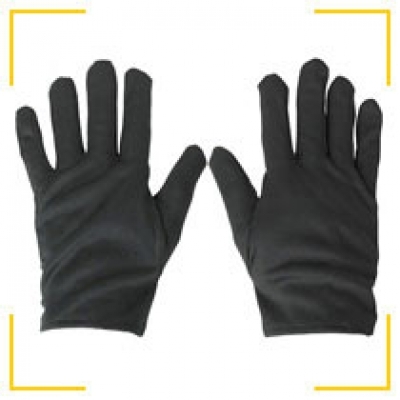 With extended wear gloves improve your skin. 6. Used to treat rheumatism, numbness of hands. 1. No side effects. 2. 100% cotton fabric, antistatic, does not transmit ultraviolet rays. 3. Dual therapeutic effect - drugs and physiotherapy. 4. Preservation of the therapeutic effect for a long time. 5. Put on the side with the active elements inside. For best results, it is recommended to wear. Rheumatoid arthritis - a chronic arthritis of the whole body, the causes of which is still not exactly clear. Disease often observed in young persons, especially women. Characterized by chronic inflammation of the synovium in the joint cavity and the defeat of symmetric joints. Often affects the joints of hands and feet in late-stage disease often occur destruction, deformity of joints, stiffness of joints. May be accompanied by a slight fever, anemia, weight loss, enlarged lymph nodes. Characteristic symptom in the initial stage of pain, swelling, stiffness of movement. Attack of pain associated with the weather, atmospheric pressure, air temperature. In the late stage is characterized by morning stiffness and deformity of joints, accompanied by degenerative changes in bones near the joints and muscle atrophy. In the acute phase usually appear fever, fatigue, anemia and weight loss, other ailments of various body parts. According to X-ray rheumatoid arthritis develops in 4 stages: the threat of osteoporosis periods, the period of joint damage, serious injury during the period of the joints and stiffness. The result of a blood test shows high content of red blood cells. How to cure rheumatism in the hands? To solve this problem, we must organize a comprehensive treatment, especially auxiliary treatment with gloves bio photons firm HuaShen. In the detuning phase, as the main method of treatment can be combined drug therapy with other support methods. In a later phase of treatment should be applied mostly to medical gloves with bio photons, which have a unique influence to stop and slow disease progression, correct anomalies and functional recovery of the joints.